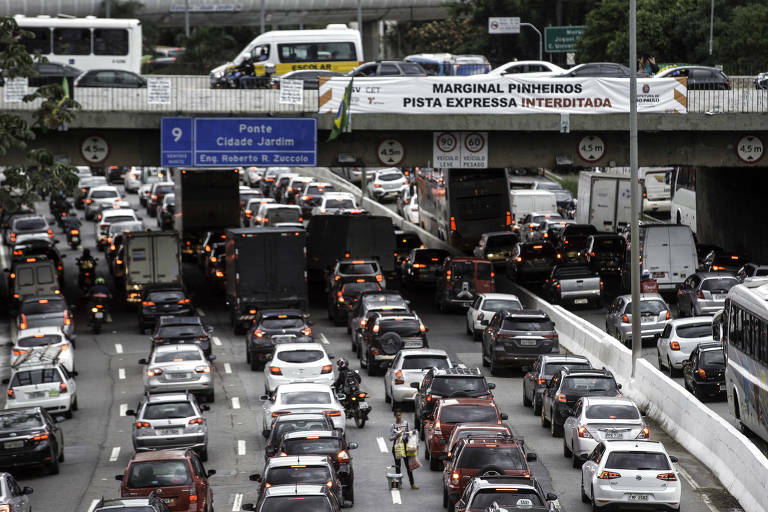 Six bridges and viaducts in São Paulo, some of them with traffic over 10,000 cars per hour, are near collapse, and should immediately undergo a thorough inspection, says a city report. The document, produced by the Secretariat of City Works, evaluated 13 public constructions after a lane on a Marginal Pinheiros viaduct "gained" a six-foot gap and was isolated. The worse evaluated viaducts in this assessment are among the most important in São Paulo: Cidade Jardim, Eusébio Matoso and Cidade Universitária, the three over the Pinheiros river, as well as Gazeta do Ipiranga, Grande São Paulo and General Olímpio da Silveira. The assessment calls for urgent and thorough inspections to find solutions to several issues, like damage caused by constant truck traffic, water leakages, deteriorated expansion joints and compromised structures. The city of São Paulo, however, says that assessment has been rewritten, with "imminent risk of collapse" changed to "unknown risk." On January 23rd, another viaduct connecting Marginal Tietê and Via Dutra had to be closed off to traffic.